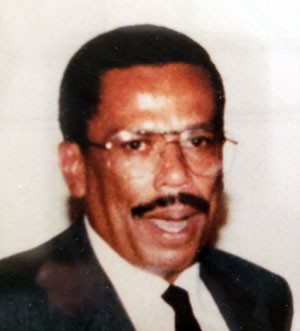 Glenn R. Merritt, Sr., 72, of New Haven, entered eternal rest on September 14, 2018. He was the widower of Ann L. Merritt. Mr. Merritt was born in New Haven, CT on September 1, 1946, a son of the late Eli and Bernadine Merritt. Prior to retiring, he was employed at Yale-New Haven Hospital for over 35 years as a Facilities Supervisor. Glenn leaves to cherish loving memories, his children, Glenn R. (Kelly) Merritt, Jr., Randy E. (Felicia) Merritt and Jerrell A. Merritt; siblings, Michael Merritt and Alice Lee; 7 grandchildren; 2 great grandchildren; and a host of other relatives and friends. He was predeceased by siblings, Delores Taylor, Norma Keen, and Anthony, George and Kenny Merritt. A celebration of Mr. Merritt’s life and legacy will be held Saturday, September 22, 2018 at 9:00 a.m. at St. Matthew’s UFWB Church, 400 Dixwell Ave., New Haven. Viewing will be held at the church from 8:00-9:00 a.m. Burial will be in Hamden Plains Cemetery. You have my condolences for your loss of your love one. Glenn was a kind and gentle man whom I’ve had the pleasure of working with. My first memories of Glenn was when we were selected to represent our departments for the cover of one of the periodicals in 1977 or 1978, for the promotion of the1982 building fondly known as the South Pavilion. I pray you will hold fast to the pleasant memories he left with each of you. May God be your rock during this time of bereavement. Sorry for your loss, GOD BLESS all of you. Our condolences and prayers are with you during this time of your bereavement. Know that we are near if we can provide any support or services. Ricky, Randy and Jerell. My sincerest condolences. Your dad was a Great Man. Tashonda, Melanie and Glenn. I love you all so very much. I’m praying for comfort for you all. Mr. Merritt is now resting with his Beloved Ann. May they continue to watch over all of you. Worked with Glenn at Yale New Haven Hospital for many years. He was not only expert at his job, but also, a truly nice man. You could always rely on him to follow though on his commitments, and often done with a smile. The community lost a beacon of professionalism and courtesy with Glenn’s passing. I wanna send my deepest sympathy to Jerrell and the Merritt family. Wish I could be by my friend side. God has a wonderful 👼. Very sorry to learn of Glen’s passing. I knew him from our work together at YNHH. He was a sweet, kind, helpful and gentle man who was always there to help in any way possible. My deepest sympathy to his family. I know this is a terrible loss for all of you. My condolences to the family especially Glenn Jr. co-worker at Ynhh. I had the pleasure of working with Glenn for many years and shared a lot of good times working together. He was truly a good man and will be missed by his peers at Ynhh. You were blessed with beautiful parents. May our Lord comfort you and your family during this difficult time. You are in our prayers. May our Lord and Savior Jesus Christ comfort you and give you peace during this difficult time and beyond. Sincere condolences to the Merritt Family. I knew him as an honorable and respectable man. May you find comfort knowing that he is resting in peace now marching with the King of all Kings, our Lord and Savior. my condolences to the family. may God bless you, give you peace and strength during this difficult time.